These incredibly delicious gluten free side dishes for the holidays are the perfect healthy recipes for your thanksgiving or christmas table. With everything from gluten free stuffing to cauliflower gravy, these sides are sure to please! With the holidays just around the corner, it’s time to start planning those thanksgiving and christmas menus! If you have a special diet like gluten-free, paleo or grain-free it can sometimes be hard to do an entirely traditional holidays, but luckily, myself and some fellow real food bloggers have you covered! 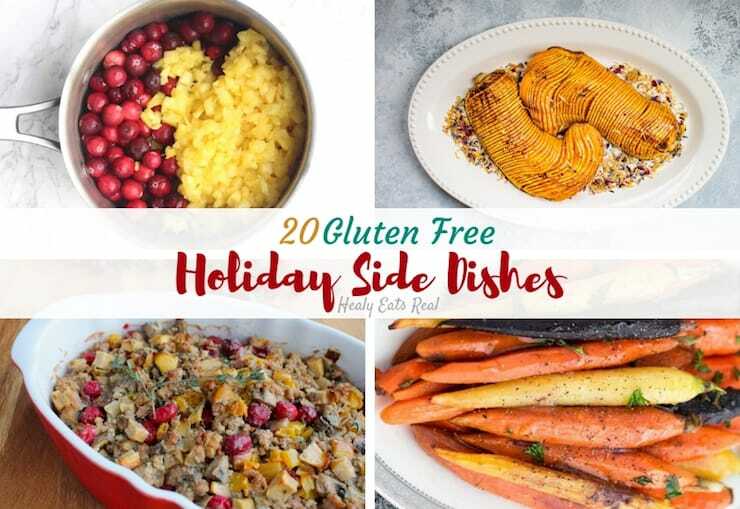 I’ve collected 20 delicious holiday gluten free side dishes to impress your family and friends! These lemon garlic sprouts will change your opinion of the humble yet often hated veggie. When cooked correctly they are absolutely delicious, healthy and the perfect side. 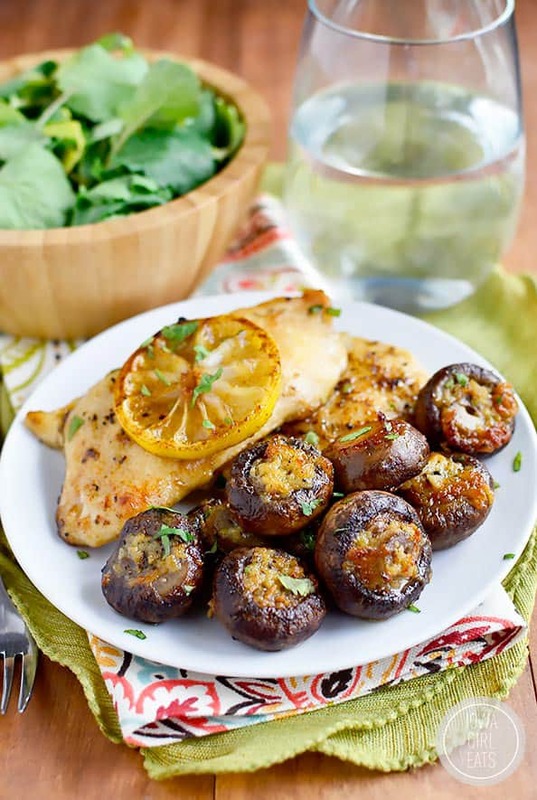 These ones are roasted with garlic and lemon zest and drizzled with a delicious balsamic glaze! When you’re sensitive to dairy or paleo, you sometimes miss the rich creamy decadence of dairy. Luckily, cauliflower can pretty easily take its place and taste delicious on its own! 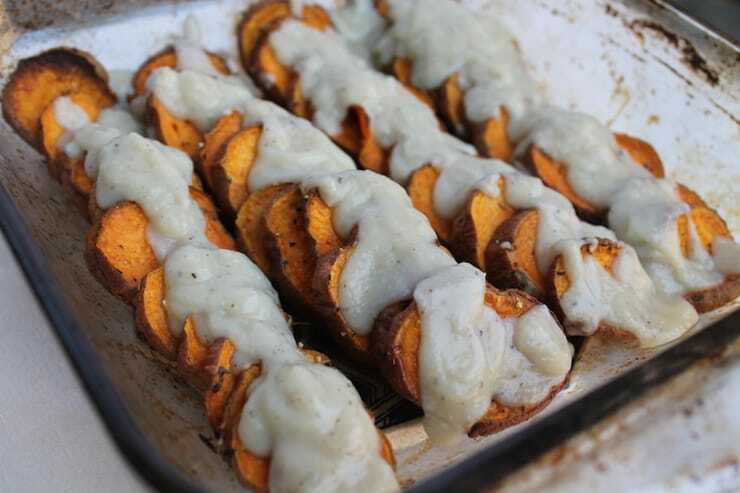 This roasted sweet potato with cauliflower cream sauce dish would make a great side for any old weeknight dinner or even for a Thanksgiving dinner. Carrot fries are one of my favorite snacks! They’re nutritious, tasty and fun too. This recipe is pretty easy to make and they’re baked instead of fried (like most french fries). Enjoy! 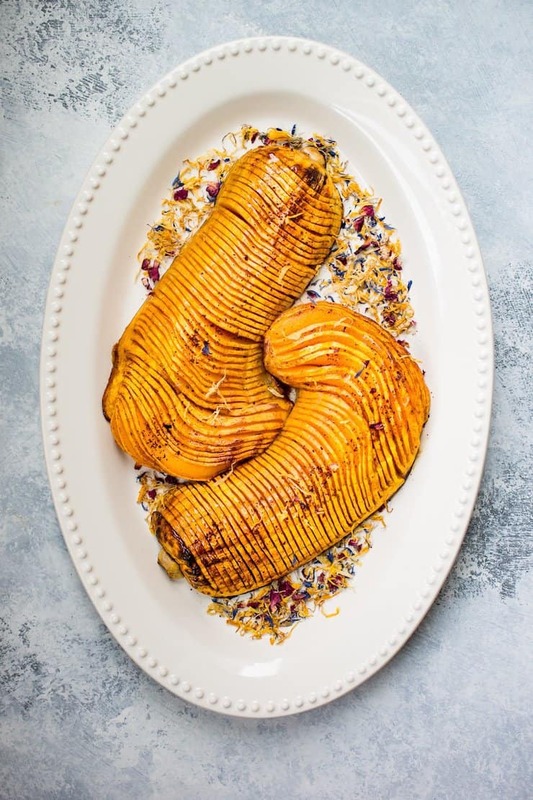 This Hasselback squash is a vegetarian showstopper that’s sure to impress! Made with honey and cinnamon it’s made with simple ingredients and so easy to make. The perfect way to celebrate fall produce! 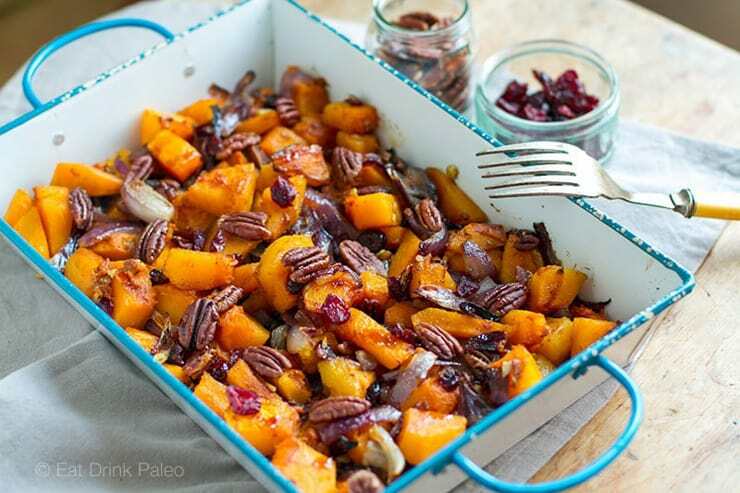 A Paleo friendly side dish made with roasted squash, pecans and cranberries. It’s filled with festive spices such as cinnamon and nutmeg and is sure to go down well at any Thanksgiving celebration! A traditional green bean casserole that’s Paleo friendly. 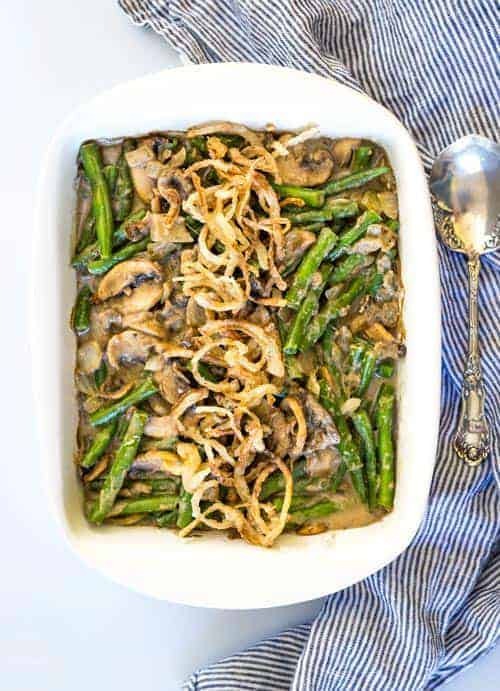 This easy and delicious side is made with a creamy mushroom sauce, tender green beans and is topped with crispy onions. You can’t go wrong with this side dish! Add a little zing and sharpness to your Brussels sprouts with a sprinkling of feta cheese. 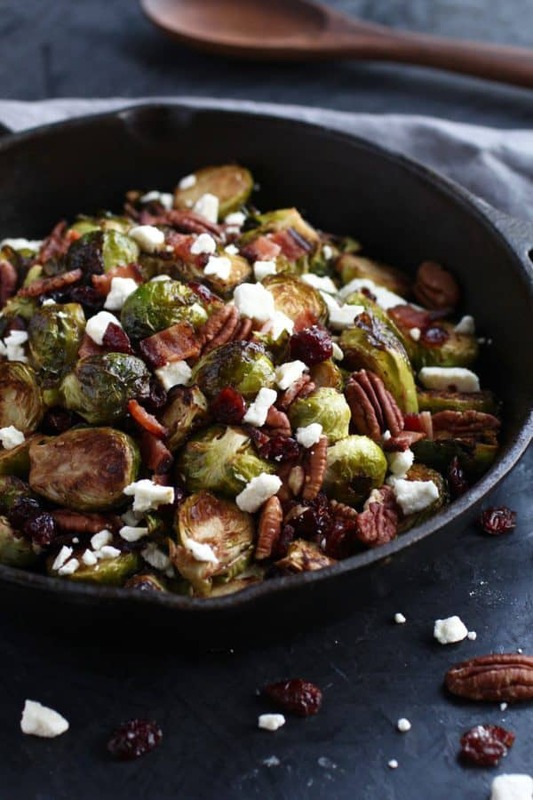 These roasted sprouts are also mixed together with crispy bacon and toasted pecans. Better yet, it’s super easy to put together! 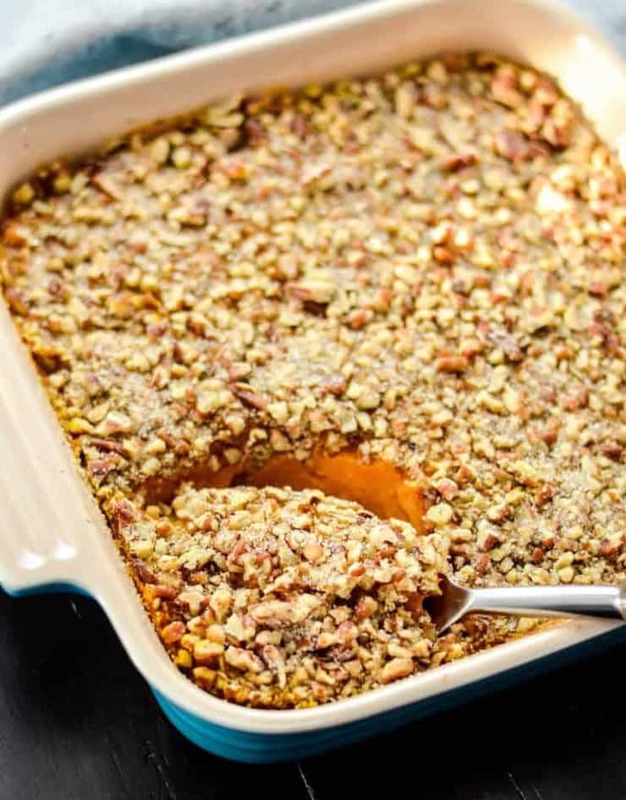 Sweet potato casserole doesn’t need to be loaded with sugar and unhealthy ingredients. This delicious side dish is sweetened only with applesauce. It’s creamy on the inside with a festive cinnamon scented filling and has that crunchy pecan topping that we all love! 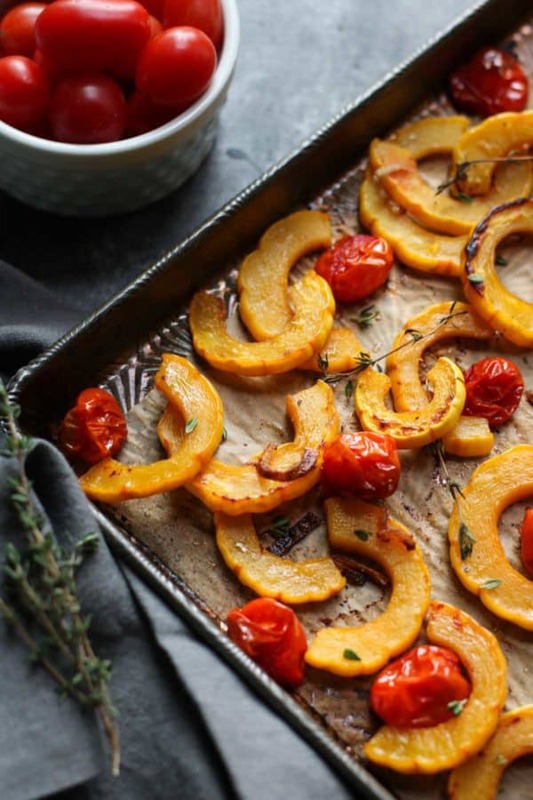 If you’re looking for a great alternative to sweet potatoes then this delicata squash is for you! It’s roasted to perfection with sweet cherry tomatoes and fragrant herbs plus it’s all made in one tray! These garlic roasted mushrooms are an addictive little side dish that’s both super easy to make and so impressive. It’s a great alternative to sprouts and can be on the table in only 30 minutes! 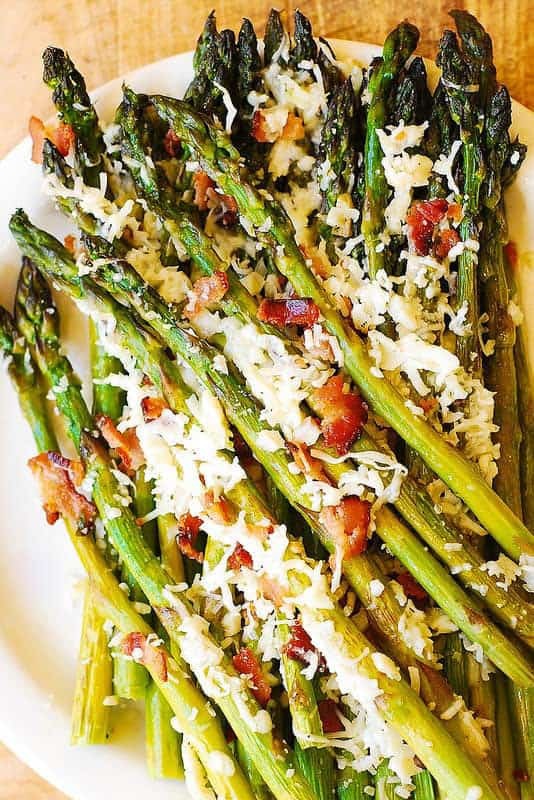 Plain old asparagus has had a makeover here! It’s been roasted which gives a beautiful flavor to this veggie and is topped with crispy bacon, garlic and asagio cheese! Simple yet delicious. 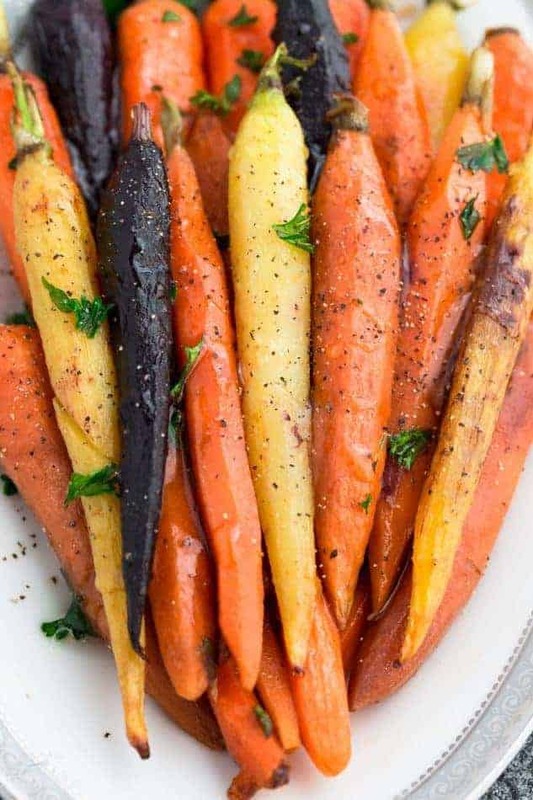 Honey and carrots are a match made in heaven and these ones are no exception. They’re roasted with parsley and thyme and can easily be adapted with your favorite herbs and spices. 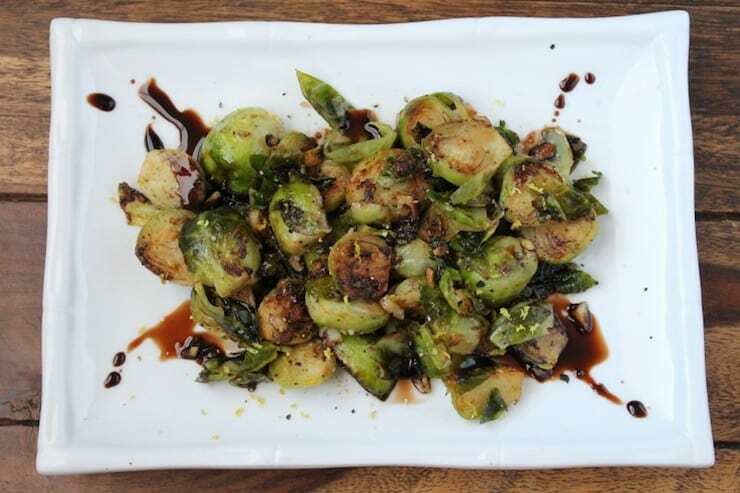 A great gluten-free side dish for any family dinner celebration! 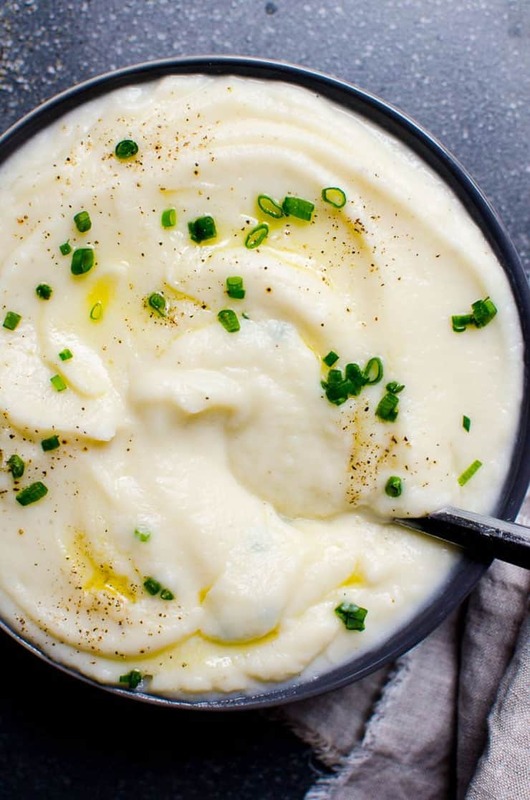 This creamy cauliflower mash is the ultimate low carb alternative to mashed potatoes. Made with garlic, butter and a little salt and pepper this easy mash side dish is super simple, creamy and comforting! 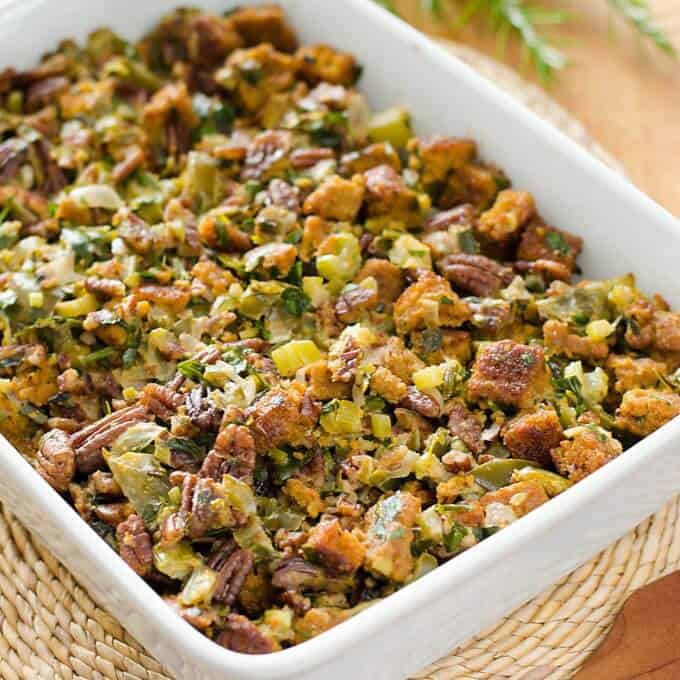 This paleo stuffing claims to be the best ever and sure looks like it could be! It’s packed with everything you could possibly want in a stuffing from diced veggies such as mushrooms and onions, crispy bacon, festive herbs and sweet and delicious fruits. 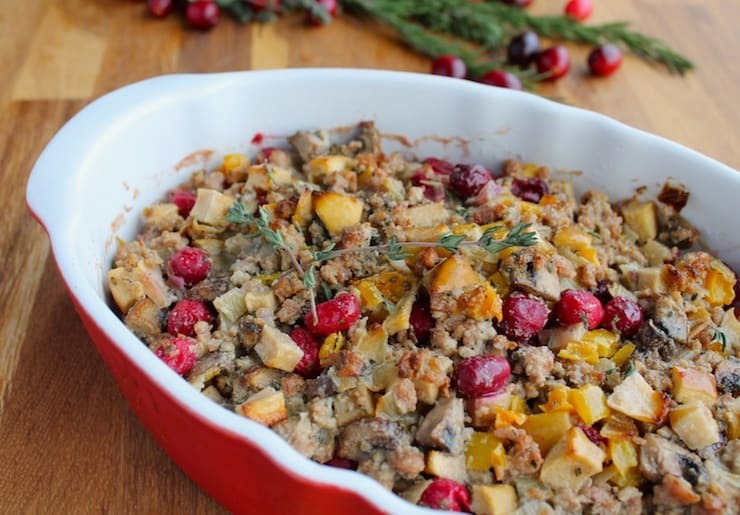 This looks like the kind of stuffing that everyone would be raving about afterward! A delicious low carb stuffing option that’s made entirely from vegetables! 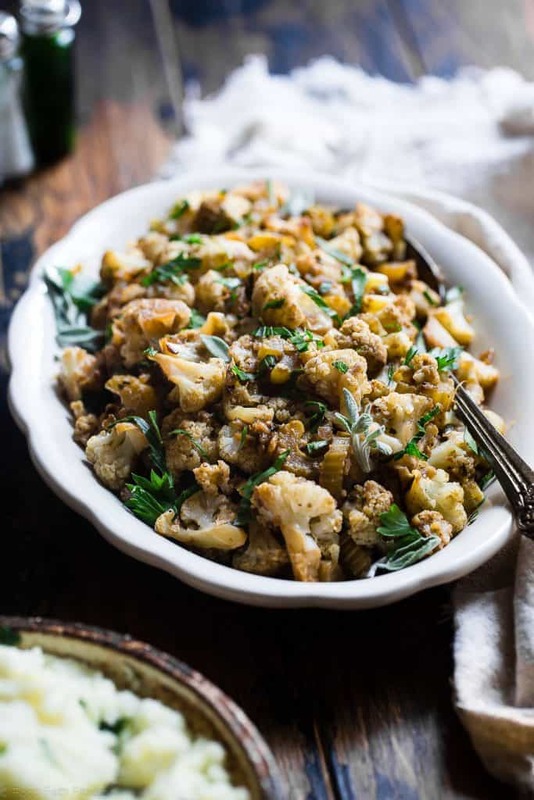 This glorious stuffing is made from cauliflower, garlic, vegetable broth, and delicious herbs and spices. This stuffing is a paleo spin on traditional cornbread stuffing. It’s completely grain free and is made with delicious fall flavors such as pecans, thyme and sweet onion. Made with only 3 ingredients and in only 5 minutes this delicious gravy is like a miracle! It’s free from flour, butter, gluten, grain and dairy, wow! There’s no need for anyone to skip the gravy boat this year. 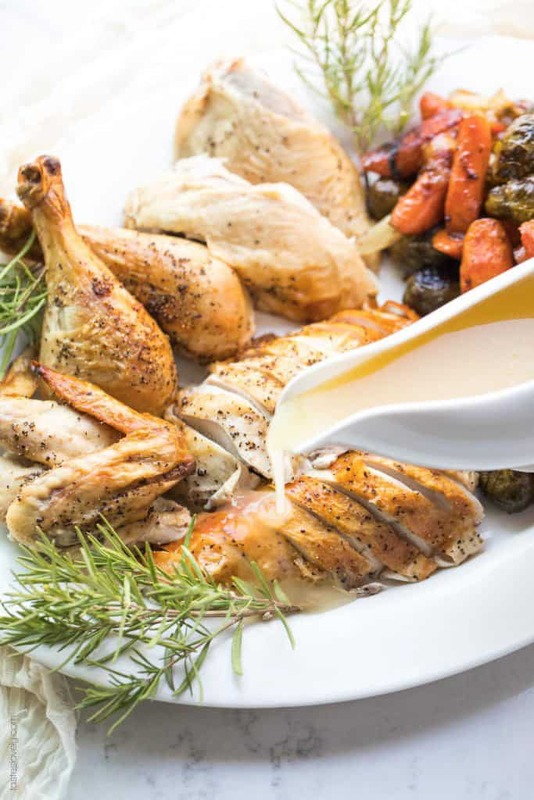 And just so you have options there’s another delicious and easy gravy recipe right here. 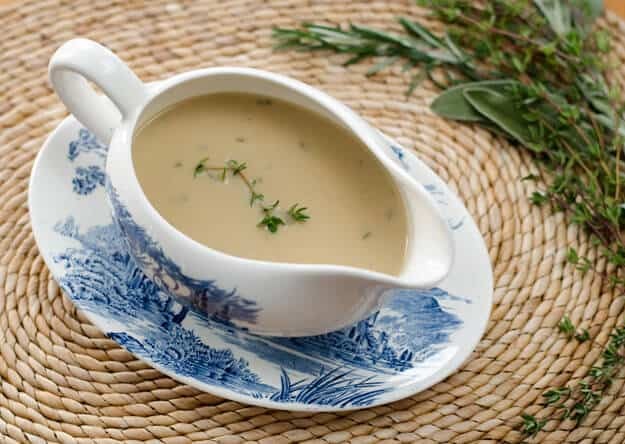 It’s also free of gluten, grains and flour of any kind made with cauliflower, chicken broth and thyme this is a gravy that’s packed with flavor and perfect for your Thanksgiving table! A Thanksgiving table wouldn’t be complete without cranberry sauce and this one sure won’t disappoint. It’s made with only 3 ingredients and takes just over half an hour to make from start to finish. Plus it’s free of any sweeteners! 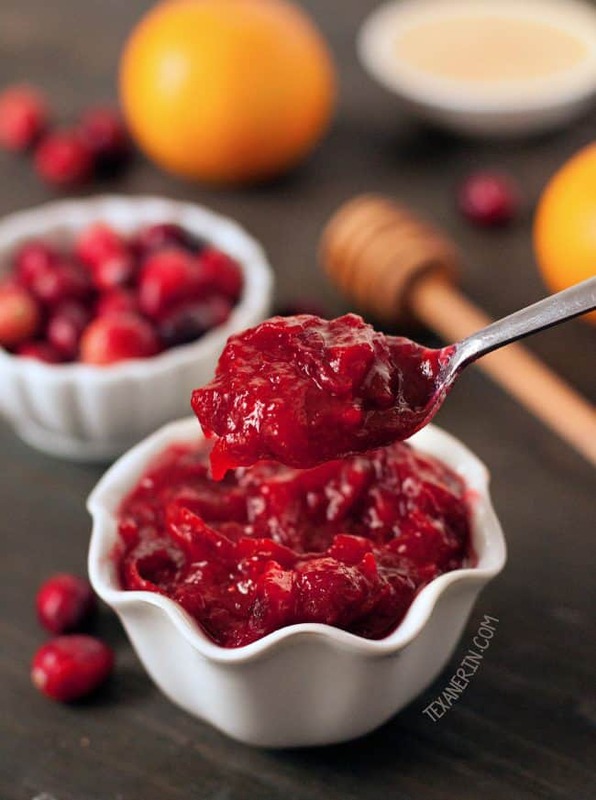 This cranberry sauce is loaded with sweet orange citrus flavors. 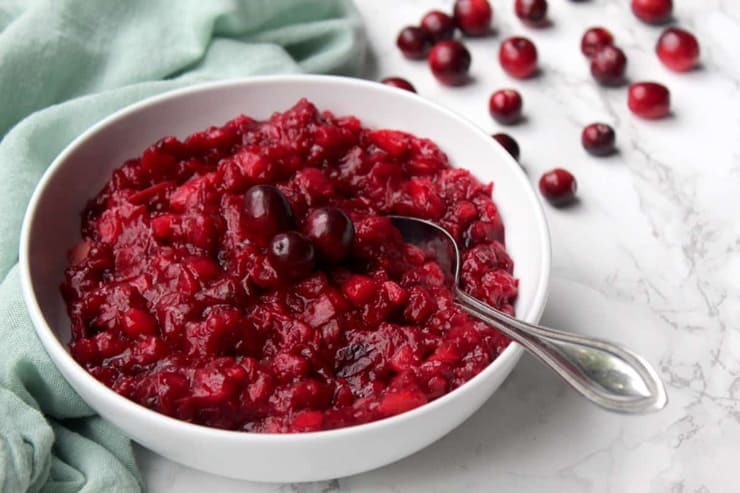 Made with fresh cranberries and sweetened with honey this cranberry sauce with a fruity twist is sure to go down a treat! These incredibly delicious gluten free side dishes for the holidays the perfect healthy recipes for your thanksgiving or christmas table. Awesome! So many different occasions to try these out on coming up. Thanks! OK..so you have made me hungry. I have bookmarked this page, because all of these look amazing! 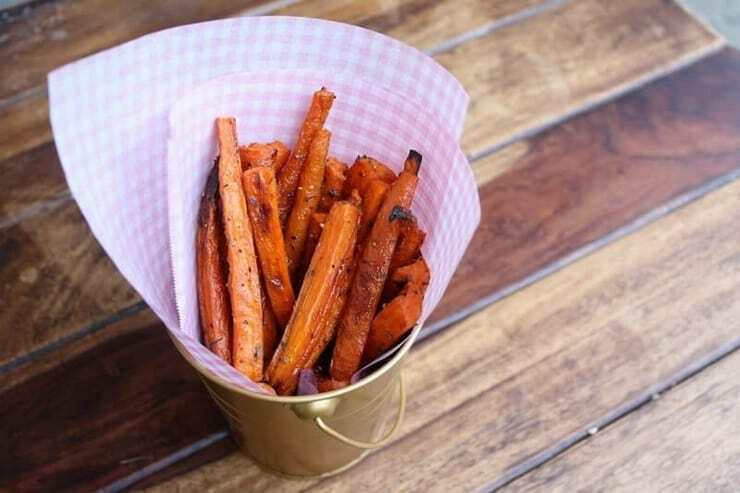 I happen to love orange foods like sweet potatoes, but have never had carrot fries. Sounds so healthy and looks so tasty! These side dishes all sound so delicious and look amazing. I love that they are versatile as well as gluten free! These look good but some are not my thing. Butternut squash is a no. Scrolling through your photos and reading up on each dish made me very hungry. What a delicious gift of food.